Plans call for the former home of the Philadelphia Inquirer and Daily News to become the future headquarters building for the Philadelphia Police Department. 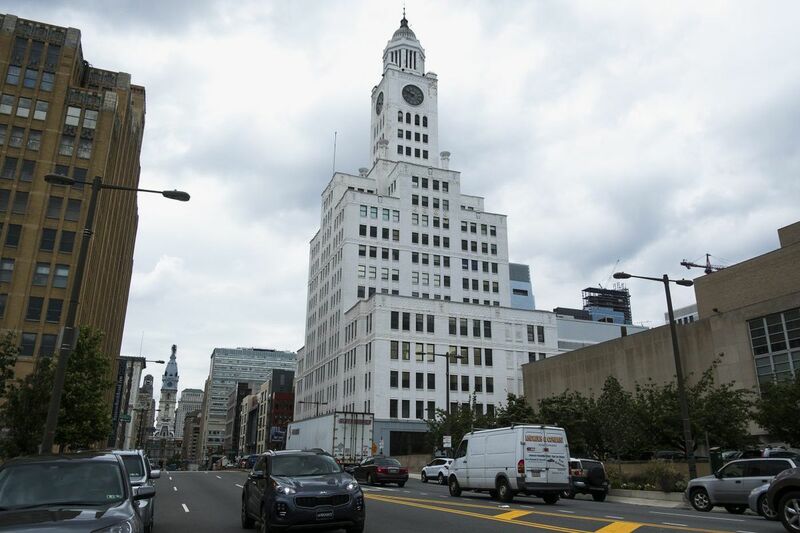 Philadelphia officials say their agreement to pay $249 million to a developer for a new city Police Headquarters in the former Inquirer building on North Broad Street is a good deal for the city. But that position is not backed up by an independent appraisal of the property's value, because none was completed. Now, Councilman Allan Domb is proposing legislation to stop the city from buying most properties without an assessment to make sure it doesn't overpay. The bill, introduced Jan. 25 with Councilman Bobby Henon as a cosponsor, was a response to Domb's discovery late last year that no independent appraisal had been done for the 400 N. Broad St. building. which housed editorial offices for the Inquirer, the Daily News, and Philly.com until July 2012. "I didn't understand how we could be purchasing a property of that magnitude without having an appraisal on our side," Domb Thursday. "It could have been used in the negotiation of the purchase price." Domb's legislation would require an independent appraisal before most acquisitions, as well as for the sale of most municipally owned properties valued by the city's assessment office at more than $200,000. Sheriff's sales and acquisitions through eminent domain would not need an appraisal. Although the city has no current obligation to order independent appraisals of property it aims to buy, Domb said he is familiar with cases in which the city has opted to do so, such as with the 135-acre tract beside Philadelphia International Airport where it now plans to develop a new air-shipping hub. The councilman's legislation would make such appraisals obligatory, bringing its rules in line with other big cities', including Los Angeles, Houston and Phoenix, which all require outside valuations. Christopher Berry, academic director at the Center for Municipal Finance at the University of Chicago Harris School of Public Policy, said such rules make sense. "There are very good reasons that you would want to have gone through some transparent process to make sure a city's not overpaying for whatever it is that it's buying," Berry said. "If your bank is going to require you to do that as an individual homeowner, why shouldn't we, as taxpayers, expect our cities to do the same?" City spokeswoman Ajeenah Amir confirmed that no independent appraisal had been completed in the deal for the 468,000-square-foot, 94-year-old building. But she said none had been necessary because the city's deal with the property's current owner, a unit of developer Bart Blatstein's Tower Investments Inc., involves an initial nine-year period during which the building is to be leased before it is acquired, rather than it being acquired at the outset. The deal was so structured to allow Blatstein to receive federal historic tax credits, which support the rehabilitation of historic buildings, officials have said. As a tax-exempt entity, the city could not get those tax credits if it owned the building during and immediately after construction. Use of those tax credits will require an appraisal before the property is formally acquired, Amir said. "We would get an appraisal in the event we exercise the option to purchase the property, which is our current plan," she said. Blatstein declined through a spokesman to comment on the transaction's role in motivating Domb's legislation. The revelation that the city received no independent guidance on the property's value could add to concerns over its spending on the Police Department's planned move from its current headquarters in the dated four-story building at 750 Race St. known as the Roundhouse. An earlier plan, on which the city had already spent about $50 million, would have moved police administration to the former Provident Mutual building in West Philadelphia. Officials last summer gave potential buyers of the neoclassical building at 4601 Market St. until Nov. 1 to submit proposals for the property in hope of recouping some of its investment at the site, but no successful bidder has been announced. Under its newer plan to take over the former 18-story newspaper building, the city has agreed to pay $42 million to the Blatstein-led group for the vacant property and an adjacent 590-space parking structure at 1501 Callowhill St. The group will also handle the building's redevelopment at a cost of $207 million. Other costs associated with the project that are not being paid to Blatstein or his affiliates, including furniture and equipment purchases, will bring the project's total cost to $280.8 million. An Inquirer analysis of the deal last year found that the $90 per square foot being paid for the former newspaper building exceeds the price of other comparable buildings bought for redevelopment in the city recently. The $207 million redevelopment budget, meanwhile, makes it the second-most expensive historic-rehabilitation project of its kind in state history, after the conversion of the more-than-twice-as-big 30th Street Main Post Office into offices at a cost of $240.2 million. Blatstein's deal with the city also allows him to retain $40 million that the project is expected to generate from the historic tax credit program. Domb, a prominent real estate investor nicknamed "the Condo King" prior to joining City Council, said he inserted himself into negotiations with Blatstein after talks were underway and secured concessions from the developer that will reduce the city's outlay for the project by as much as $10 million. City Council approved the deal in June. In the ensuing months, as a final lease was being negotiated, Domb repeatedly asked the city's Finance and Public Property Departments for the independent appraisal that he expected had been completed as a basis for the talks, he said. "I kept asking for it, and no one was giving it to me," Domb said. "I found out they didn't have one at the end of December, and they had closed [on the lease]. It was too late."